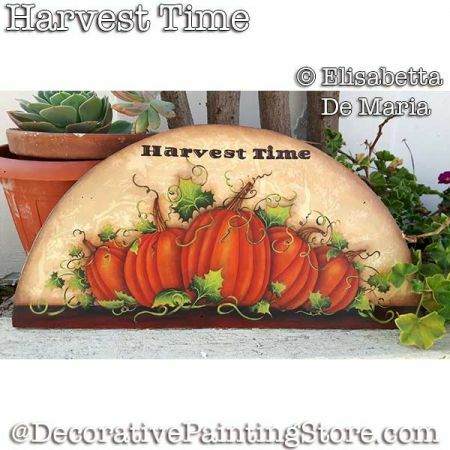 Painting ePattern Tutorial called Harvest Time of a row of colorful bright pumpkins and leaves. Paint on half round door crown or wall plaque. Drawing is approx. 7"x11". Enlarge or reduce to fit a surface of your choice.